We can’t help it – our passion for online education comes from our awesome students and families who we serve. It doesn’t take long to see the difference we make in students’ lives, and get excited about what we can do next in order to keep our students thriving. Online learning can only be great if you have ACCESS to it. This brings me to my next point. A lot of parents have had questions about who is eligible to take FLVS courses. While many students are eligible without restrictions, students in grades 2, 3, 4, and 5 wishing to take FLVS Flex courses (on a part-time basis) have to meet eligibility requirements listed in Florida Statute 1002.455. You can click the link to read the statute, but the most problematic piece is that students had to be enrolled in a public school the year prior, unless you meet one of the exceptions. Here’s an example: Your first grader is homeschooled and enrolled in a couple of FLVS Flex Elementary courses. 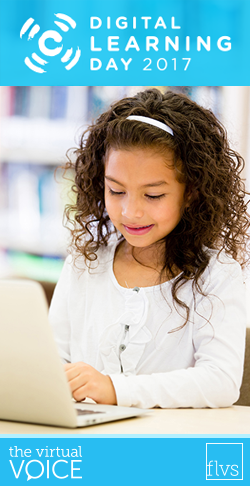 The eligibility requirements allow this option in first grade, but once your student moves to second grade, he/she is most likely no longer eligible to enroll in FLVS Flex. Since this is in statute, we have to work with our state legislators to remove the restrictions. Our Governmental Affairs team is pleased to share that language allowing ALL Florida students access to virtual education, without restrictions, has been filed in multiple bills that we are watching closely. Florida legislative session officially starts March 6, 2017, and ends on May 5, 2017. We will be posting updates on the bill movement as the legislative session progresses. 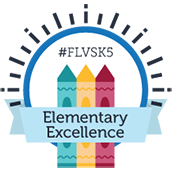 In the mean time, to check your student’s status and see if the eligibility requirements affect your FLVS Flex student in grades 2-5, contact Cindy Cason at elementaryhome@flvs.net or 407-513-3604. This entry was posted in Homeschool Edition, Parent Edition and tagged Access to Online Learning, Career Readiness, Digital Learning Day, Digital Literacy, DLDay, Education Legislation, Elementary, FLVS Flex Elementary, innovation, Legislation, Legislative Updates, Online Elementary Curriculum, Online Elementary School, Online Learning, School Choice, Soft skills, Student Access, Technology on February 23, 2017 by Guest Blogger. Two years ago my family made a move from the Midwest to Florida as my husband accepted an amazing job offer. My husband and I always had the idea of wanting to homeschool, but didn’t know exactly where to turn. FLVS was spot on the school of choice after doing our homework knowing there were still other options available. 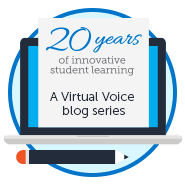 FLVS was heaven-sent and I’m so glad to be part of this online experience with my children. Not only were we able to enroll into the FLEX program, but I felt I had a dedicated support system to help me and my children achieve a great education. I have a daughter, age 6 in first grade and a son, age 5 in kindergarten. I couldn’t be more pleased to watch my children grow each day, learn new things and actually be EXCITED about it. The FLEX/Part-time option has allowed my family freedom in how we choose to school. I can add extracurricular actives to our scheduled lessons. I can add in religious teachings as part of our day. If my children have dance class or soccer, we can do that mid-day and still have full access to our studies online. Heaven forbid an emergency arises, or we need to go out of town, my children still have access to their studies by computer, laptop, iPad and even phone. FLVS has provided me the tools to stay on track on the go, at home and anywhere we need to be all while learning, growing and most definitely having a great time. I choose FLVS and hope to continue in the FLEX program to give my children the fun and freedoms of learning, the access to tools online and an all around one of a kind education. Thank you FLVS for all you do! Flvs flex is the best thing that ever happened to me and my family. My daughter struggled a lot in public schools, teachers don’t know her values and abilities and also they did not instill potential in her. Her Flvs teacher did all that. She’s having fun learning and learning new things every day. My daughter has shown a lot of improvements. Thanks for Flvs. I hopping that my daughter can continue in flvs flex and I’m looking forward to enroll my son in flvs flex for kindergarten. Thanks flvs you showed what teaching and learning is all about. Don’t know how to thank you Flvs.